We talked to Loric Sih about the importance of building personal relationships at a recent Co.Lab event. Touring stage mixers are responsible for taking an artist’s vision and getting it onstage. That means planning the setlist, understanding how the show will flow, and making sure as little goes wrong as possible. Loric Sih, the touring stage mixer for Kelela, understands those duties better than most. Sih has been charged with executing Kelela’s ambitions as the artist has risen through the ranks. 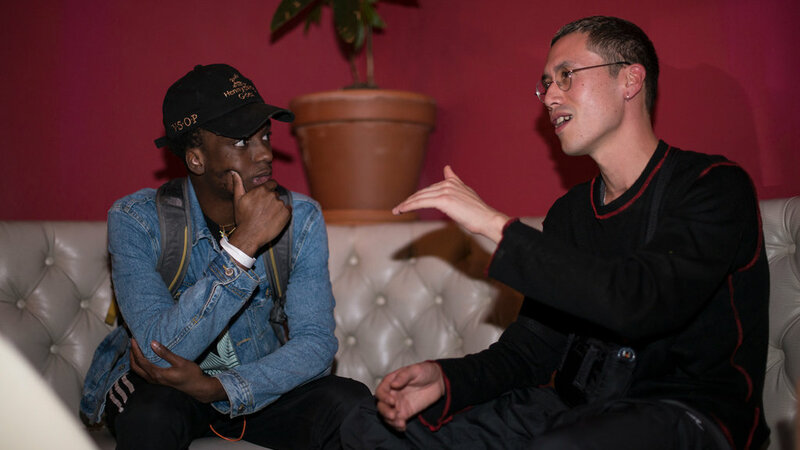 At a recent Spotify for Artists Co.Lab event (dedicated to the many facets of the life of an artist on the road), we talked to Sih about how his role changes from city to city, the importance of building trust, and why personal relationships will always get you through the day. Spotify for Artists: What does a touring stage mixer do? Loric Sih: It's definitely something that I think most people don't understand. I think anyone over the age of 40 thinks that I'm playing every instrument live, somehow. They'll come up to me after a show and say, "Bro, you killed it on the beats. You're doing such an amazing job." But I'm like, "I'm not making the music on the spot. It is actually her music that she makes with a lot of other people.” People don’t believe that it’s her music because she’s a girl. But a lot of the work that I do is pre-stage stuff. It's organizing the show, organizing how it's going to flow—organizing the set, basically, and that takes a lot of pre-production work. Because we play a bunch of different sets, the sets can change day-to-day a lot. Then, once I'm up there onstage, it's just executing what the plan was. There may be little bits of room to improvise, but for the most part it's executing things that we have already predetermined. How did your relationship with Kelela start? We had mutual friends in music and come from similar backgrounds. I didn’t really know her at the time, so I spent some time just getting to know her musically, and now I think we’re at a point where I understand what she’s going for pretty well, so it’s easier to collaborate. I think there’s a level of trust that’s been built so that she knows that I know what her vibe is and what she’s about. Does your role change when you work with other artists? Does where you’re playing ever influence what kind of set you produce? Does it vary city to city? We change the set-up all the time based on where we are. Obviously, it makes a difference if you’re playing for an audience that’s there to see you, versus an audience that’s not, which happens a lot also. Kelela and I both come from DJ club music world, so we really emphasize doing remix versions of songs. If we know that the crowd is a crowd that really knows their music, we’ll do a bunch of remixes that they’ve never heard. If we’re in London, we’ll do a grime remix. We try to, as much as possible do a regional version of where we are, if we can. That always works. What’s one thing you wish you knew when you were first starting out as an artist? Apart from how often you’re going to be waking up at 4:00 or 5:00 in the morning to go to the airport, I think one thing is the personal relationships. To me, personal relationships are the most important thing, because ultimately it’s like a lot of industries, where the personal relationship really drives the opportunities. I think being able to connect and get along with people, because ultimately what I do is not something that another person couldn’t do, from a technical standpoint. I’m the one doing it because I have a close personal and good working collaborative relationship with the person. To the extent that we can be together for three weeks, sitting next to each other all day long, and not rip each other’s hair out. Make personal connections with people that are in your community, people that are interested in things that you’re interested in. Be open-minded and ready to grab an opportunity if it comes your way, but also keep in mind who you’re connected to personally. It makes a big difference in terms of what opportunities you’ll get, I think.